High blood pressure, or hypertension, affects more than 25 per cent of UK adults, according to the NHS. Having high blood pressure increase your risk of heart disease, heart attacks and strokes. The only way to know if you have hypertension is to get it checked. But, if you have seriously high blood pressure, you could be showing these symptoms. “One of the most dangerous aspects of hypertension is that you may not know that you have it,” said medical website WebMD. “In fact, nearly one-third of people who have high blood pressure don't know it. These symptoms can appear during a hypertensive crisis - which could lead to a heart attack or stroke. 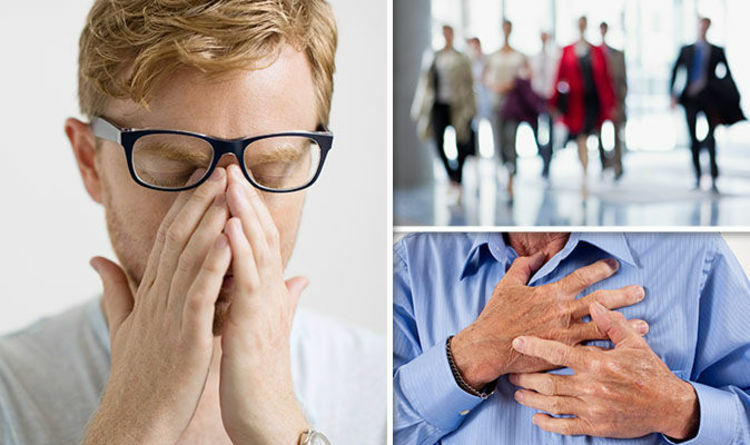 Chest pain and headaches could be signs of the condition. A painful buzzing in your ear should also be checked by a doctor. Nosebleeds, vision problems and a pounding in your neck or ears may be signs of a hypertensive crisis. If these symptoms do develop, it’s usually because the condition has progressed to a dangerous level. A hypertensive crisis is a medical emergency. Seek medical help immediately if you’re showing these signs. You’re more likely to develop high blood pressure if you’re over 65, are obese, or of African or Caribbean descent. Regular exercise and getting plenty of sleep could help to lower your risk of hypertension.